Weaning from CPB entails the progressive transition of the patient from full mechanical circulatory support to spontaneous heart activity of the patient with an aim to provide sufficient blood flow and pressure through the pulmonary and systemic circulation. The time taken for surgical verifications and hemodynamic optimization is "compressed" within the first few minutes and important information needs to be shared between surgeons, anesthesiologists, and perfusionists. Therapeutic decisions regarding pharmacological support, ventricular assistance, and additional surgical interventions have to be taken quickly to prevent myocardial damage. A scientific and individualized approach takes into account the patient's preoperative disease status and the specificities of the surgical intervention. In this context, hemodynamic monitoring and transoesophageal echocardiography (TEE) provide a snapshot of the circulatory system by assessing cardiac performances, the adequacy of surgical repair, the interdependence of both ventricles, and the coupling between the heart and the circulatory arteriovenous compartment. Currently, there are no specific criteria defining the "difficult-to-wean" situation. Many patients come easily off CPB without requiring supportive treatments, except for minor interventions such as electrical defibrillation, temporary electrophysiological stimulation, and/or small doses of cardiovascular drugs. The purpose of this review is to provide anesthesiologists, cardiac surgeons, perfusionists, and intensive care physicians with updated guidelines regarding perioperative management and the weaning process, particularly in the high risk cases. Large cohort studies have shown that better outcomes are achieved when cardiac procedures are performed by well-trained and qualified professionals in high-volume hospitals where safety practice and standardized clinical pathways have been established. An extensive literature exists about ways to optimize safety and work performance in complex organizational settings such as aerospace, nuclear power, and chemical engineering. With the increasing burden of patients' comorbidities, and the complexity of the surgical operations, the achievement and maintenance of clinical excellence has become increasingly challenging. Although medical errors were traditionally attributed to lack of skills, inaccurate judgement and inappropriate actions, recent work has revealed that errors may also result from poor communication and the absence of written guidelines. This might also be true at the time of CPB weaning when the information flow and communication between the team members must be optimized, amid uncertainty and time pressure. In an observational study involving 102 pediatric cardiac surgical cases, an average of 16 adverse events were reported per patient, 30% occurring shortly after coming off CPB and most of them being related to communication and coordination failure. Cognitive adjustment was the compensatory intervention in most of these near-misses emphasizing the importance of qualification, training, and expertise. Another study from the Mayo clinic highlighted a strong correlation between the occurrence of technical error and teamwork disruption resulting from insufficient procedural information and poor communication/coordination between the surgeon, the anesthesiologist, and the perfusionist. Although many of these "sentinel events" appear inconsequential, they predispose patients to serious complications if not addressed with effective compensatory interventions. It should be noted that the operative death was highly associated with serious adverse events (1.2 per patient). While the circulatory work is shifted from the pump to the patients' heart, information on hemodynamic parameters (e.g., HR, cardiac preload indices, MAP, and functional imaging of the heart) should be shared between the cardiac surgeon, the anaesthesiologists, and the perfusionnist. During stepwise reduction of both venous return and arterial pump flow, filling of the cardiac chambers is appreciated by inspection of the RV and atrium, by TEE examination (e.g., LV end-diastolic diameter 3.5-5 cm, in transgastric short-axis view), and by central filling pressure measurement (venous or pulmonary capillary wedge pressure). Cardiac preload is considered "optimal" when further filling fails to increase blood pressure and/or CO according to the preload-recruitable stroke work concept. Indeed, progressive elongation of the sarcomeres with increasing cardiac preload enhances myocardial contraction resulting in increased stroke volume and MAP (Frank-Starling mechanism). From the early 1970s, mechanical circulatory support devices have evolved into advanced easy-to-implant and easy-to-use devices, capable of reversing postcardiotomy LCOS in an "exit" strategy tailored specifically for each patient ("bridge" to recovery or transplantation or as "destination" therapy). , Overall, VADs can be divided into two main types: (1) the pulsatile pump that mimics the natural cardiac stroke volume and (2) the continuous flow devices that can be subdivided into centrifugal and axial flow pumps. In a meta-analysis including 125 patients with cardiogenic shock, Cheng et al found that, support with LVAD resulted in higher cardiac index and MAP compared with the IABP. However, higher rates of bleeding and hemolysis were observed in the VAD group and 30-day mortality did not differ between the two groups. Knowledge of patient- and procedure-related risk factors should be integrated in the medical decision process along with the implementation of perioperative protective strategies. Team education, adoption of checklists, and simulation-based training may further enhance physician'performances during the CPB weaning process. 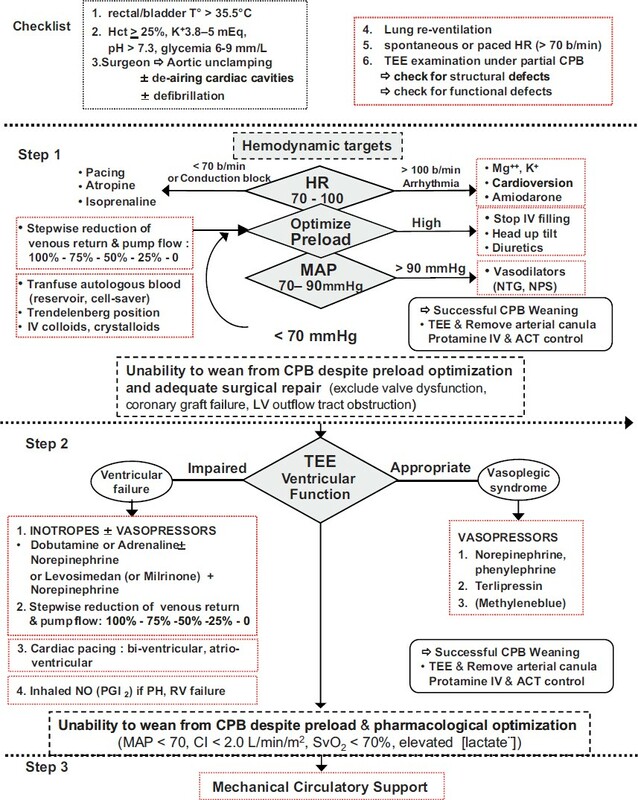 Integration of a standardized approach for weaning off bypass focusing on simple hemodynamic targets, TEE assessment, along with a goal-directed therapy involving pharmacological agents (inotropes, vasodilators, and vasopressors) and eventually mechanical support devices can potentially improve the outcome. Large trials are warranted to assess the best cardioprotective strategies and to validate algorithms suitable for the CPB weaning process in cardiac surgery. 1. Ailawadi G, Zacour RK. Cardiopulmonary bypass/extracorporeal membrane oxygenation/left heart bypass: Indications, techniques, and complications. Surg Clin North Am 2009;89:781-96, vii-viii. 2. 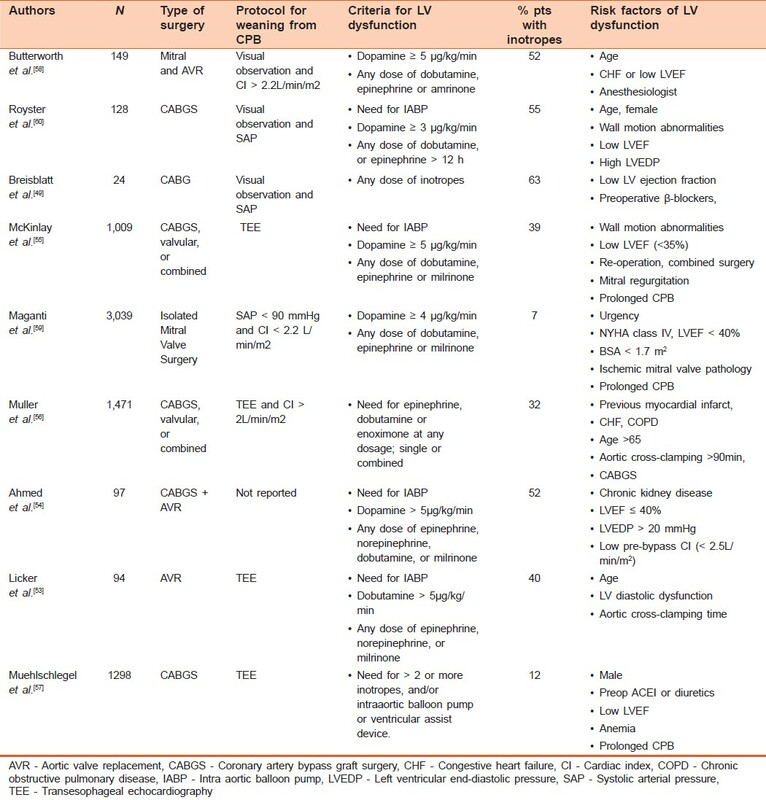 Grigore AM, Murray CF, Ramakrishna H, Djaiani G. A core review of temperature regimens and neuroprotection during cardiopulmonary bypass: Does rewarming rate matter? Anesth Analg 2009;109:1741-51. 3. Schabel RK, Berryessa RG, Justison GA, Tyndal CM, Schumann J. Ten common perfusion problems: Prevention and treatment protocols. 1987. J Extra Corpor Technol 2007;39:203-9. 4. Murphy GS, Hessel EA 2 nd , Groom RC. Optimal perfusion during cardiopulmonary bypass: An evidence-based approach. Anesth Analg 2009;108:1394-417. 5. Oakes DA, Mangano CT. Cardiopulmonary bypass in 2009: Achieving and circulating best practices. Anesth Analg 2009;108:1368-70. 6. Vakamudi M. Weaning from cardiopulmonary bypass: Problems and remedies. Ann Card Anaesth 2004;7:178-85. 7. Leone M, Vallet B, Teboul JL, Mateo J, Bastien O, Martin C. Survey of the use of catecholamines by French physicians. Intensive Care Med 2004;30:984-8. 8. Williams JB, Hernandez AF, Li S, Dokholyan RS, O'Brien SM, Smith PK, et al. Postoperative inotrope and vasopressor use following CABG: Outcome data from the CAPS-care study. J Card Surg 2011;26:572-8. 9. 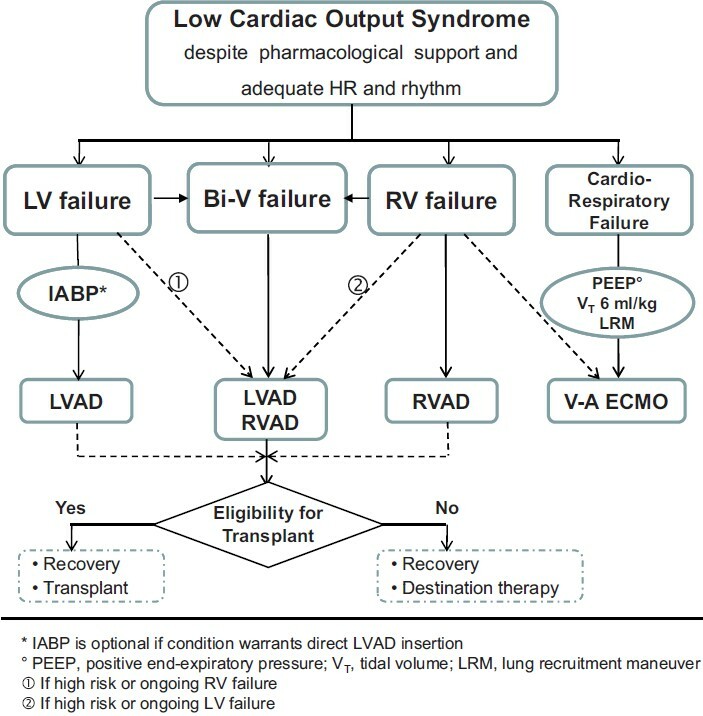 A V. Weaning from cardiopulmonary bypass and low cardiac output syndrome. In Perioperative care in cardiac anesthesia and surgery edited by Cheng DC, David TE; 2006. P. 135-43. 10. Auerbach AD, Maselli J, Carter J, Pekow PS, Lindenauer PK. The relationship between case volume, care quality, and outcomes of complex cancer surgery. J Am Coll Surg 2011;211:601-8. 11. Gore DC, Powell JM, Baer JG, Sexton KH, Richardson CJ, Marshall DR, et al. Crew resource management improved perception of patient safety in the operating room. Am J Med Qual 2011;25:60-3. 12. Ravikumar TS, Sharma C, Marini C, Steele GDJr, Ritter G, Barrera R, et al. A validated value-based model to improve hospital-wide perioperative outcomes: Adaptability to combined medical/surgical inpatient cohorts. Ann Surg 2011;252:486-96; discussion 496-8. 13. Barach P, Johnson JK, Ahmad A, Galvan C, Bognar A, Duncan R, et al. A prospective observational study of human factors, adverse events, and patient outcomes in surgery for pediatric cardiac disease. J Thorac Cardiovasc Surg 2008;136:1422-8. 14. ElBardissi AW, Wiegmann DA, Henrickson S, Wadhera R, Sundt TM 3 rd . Identifying methods to improve heart surgery: An operative approach and strategy for implementation on an organizational level. Eur J Cardiothorac Surg 2008;34:1027-33. 15. Schraagen JM, Schouten T, Smit M, Haas F, van der Beek D, van de Ven J, et al. Assessing and improving teamwork in cardiac surgery. QualSaf Health Care 2011;19:e29. 16. Lateef F. Simulation-based learning: Just like the real thing. J Emerg Trauma Shock 2010;3:348-52. 17. Bruppacher HR, Alam SK, LeBlanc VR, Latter D, Naik VN, Savoldelli GL, et al. Simulation-based training improves physicians' performance in patient care in high-stakes clinical setting of cardiac surgery. Anesthesiology 2011;112:985-92. 18. Harvey S, Young D, Brampton W, Cooper AB, Doig G, Sibbald W, et al. Pulmonary artery catheters for adult patients in intensive care. Cochrane Database Syst Rev 2006;3:CD003408. 19. Ospina-Tascon GA, Cordioli RL, Vincent JL. What type of monitoring has been shown to improve outcomes in acutely ill patients? Intensive Care Med 2008;34:800-20. 20. Ivanov R, Allen J, Calvin JE. The incidence of major morbidity in critically ill patients managed with pulmonary artery catheters: A meta-analysis. Crit Care Med 2000;28:615-9. 21. Hadian M, Pinsky MR. Evidence-based review of the use of the pulmonary artery catheter: Impact data and complications. Crit Care 2006;10(Suppl 3):S8. 22. Schwann NM, Hillel Z, Hoeft A, Barash P, Mohnle P, Miao Y, et al. Lack of effectiveness of the pulmonary artery catheter in cardiac surgery.Anesth Analg 2011;113:994-1002. 23. Ranucci M. Which cardiac surgical patients can benefit from placement of a pulmonary artery catheter? Crit Care 2006;10(Suppl 3):S6. 24. Peyton PJ, Chong SW. Minimally invasive measurement of cardiac output during surgery and critical care: A meta-analysis of accuracy and precision. Anesthesiology 2011;113:1220-35. 25. Hadian M, Kim HK, Severyn DA, Pinsky MR. Cross-comparison of cardiac output trending accuracy of LiDCO, PiCCO, FloTrac and pulmonary artery catheters. Crit Care 2011;14:R212. 26. Futier E, Vallet B. Inotropes in goal-directed therapy: Do we need 'goals'? Crit Care 2010;14(5):1001. 27. Michelena HI, Abel MD, Suri RM, Freeman WK, Click RL, Sundt TM, et al. Intraoperative echocardiography in valvular heart disease: An evidence-based appraisal. Mayo Clin Proc 2011;85:646-55. 28. Schmid E, Nowak M, Unertl K, Rosenberger P. [Intraoperative echocardiography: Impact on surgical decision-making]. Anaesthesist 2009;58:1123-35. 29. Klein AA, Snell A, Nashef SA, Hall RM, Kneeshaw JD, Arrowsmith JE. The impact of intra-operative transoesophageal echocardiography on cardiac surgical practice. Anaesthesia 2009;64:947-52. 30. Eltzschig HK, Rosenberger P, Loffler M, Fox JA, Aranki SF, Shernan SK. Impact of intraoperative transesophageal echocardiography on surgical decisions in 12,566 patients undergoing cardiac surgery. Ann Thorac Surg 2008;85:845-52. 31. Skinner HJ, Mahmoud A, Uddin A, Mathew T. An investigation into the causes of unexpected intra-operative transoesophageal echogardiography findings. Anaesthesia 2012;67:402-6. 32. Schmidlin D, Bettex D, Bernard E, Germann R, Tornic M, Jenni R, et al. Transoesophageal echocardiography in cardiac and vascular surgery: Implications and observer variability. Br J Anaesth 2001;86:497-505. 33. Cheung AT, Savino JS, Weiss SJ, Aukburg SJ, Berlin JA. Echocardiographic and hemodynamic indexes of left ventricular preload in patients with normal and abnormal ventricular function. Anesthesiology 1994;81:376-87. 34. Oh JK, Hatle L, Tajik AJ, Little WC. Diastolic heart failure can be diagnosed by comprehensive two-dimensional and Doppler echocardiography. J Am Coll Cardiol 2006;47:500-6. 35. Shanewise JS, Cheung AT, Aronson S, Stewart WJ, Weiss RL, Mark JB, et al. 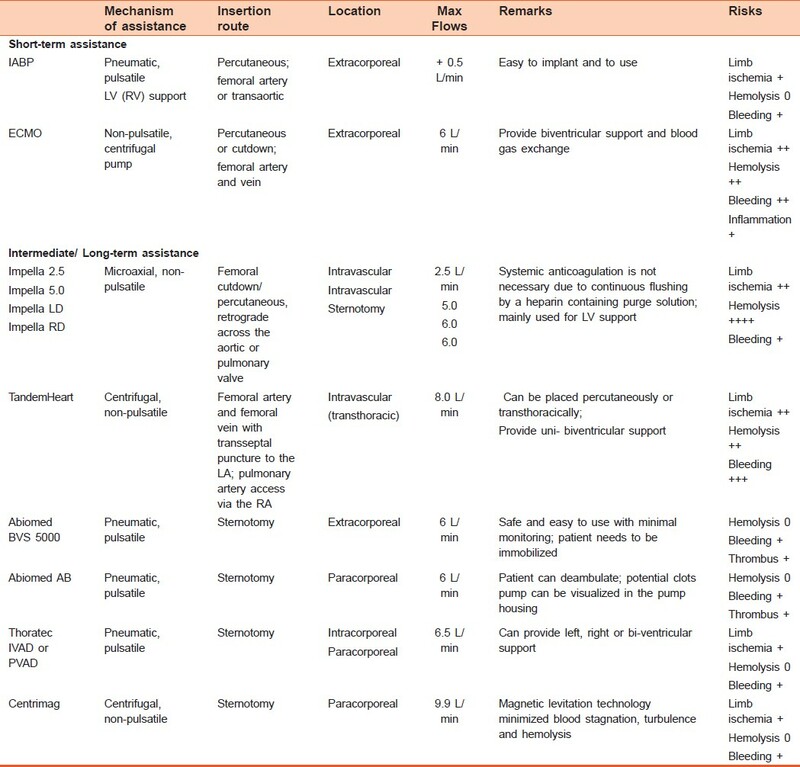 ASE/SCA guidelines for performing a comprehensive intraoperative multiplanetransesophagealechocardiography examination: Recommendations of the American Society of Echocardiography Council for Intraoperative Echocardiography and the Society of Cardiovascular Anesthesiologists Task Force for Certification in Perioperative Transesophageal Echocardiography. J Am SocEchocardiogr 1999;12:884-900. 36. American Society of Anesthesiologists and Society of Cardiovascular Anesthesiologists Task Force on Transesophageal Echocardiography. Practice guidelines for perioperative transesophageal echocardiography. A report by the American Society of Anesthesiologists and the Society of Cardiovascular Anesthesiologists Task Force on Transesophageal Echocardiography.Anesthesiology 1996;84:986-1006. 37. American Society of Anesthesiologists and Society of Cardiovascular Anesthesiologists Task Force on Transesophageal Echocardiography.Practice guidelines for perioperative transesophageal echocardiography. An updated report by the American Society of Anesthesiologists and the Society of Cardiovascular Anesthesiologists Task Force on Transesophageal Echocardiography. Anesthesiology 2010;112:1084-96. 38. Flachskampf FA, Badano L, Daniel WG, Feneck RO, Fox KF, Fraser AG,et al. Recommendations for transoesophageal echocardiography: Update 2010. Eur J Echocardiogr 2010;11:557-76. 39. Hilberath JN, Oakes DA, Shernan SK, Bulwer BE, D'Ambra MN, Eltzschig HK. Safety of transesophageal echocardiography. J Am Soc Echocardiogr 2010;23:1115-27. 40. Mebazaa A, Pitsis AA, Rudiger A, Toller W, Longrois D, Ricksten SE, et al. Clinical review: Practical recommendations on the management of perioperative heart failure in cardiac surgery. Crit Care 2011;14:201. 41. Berman M, Stamler A, Sahar G, Georghiou GP, Sharoni E, Brauner R, et al. Validation of the 2000 Bernstein-Parsonnet score versus the Euroscore as a prognostic tool in cardiac surgery. Ann Thorac Surg 2006;81:537-40. 42. Licker M, Neidhart P, Lustenberger S, Valloton MB, Kalonji T, Fathi M, et al. Long-term angiotensin-converting enzyme inhibitor treatment attenuates adrenergic responsiveness without altering hemodynamic control in patients undergoing cardiac surgery. Anesthesiology 1996;84:789-800. 43. Levin MA, Lin HM, Castillo JG, Adams DH, Reich DL, Fischer GW. Early on-cardiopulmonary bypass hypotension and other factors associated with vasoplegic syndrome. Circulation 2009;120:1664-71. 44. Sun X, Zhang L, Hill PC, Lowery R, Lee AT, Molyneaux RE, et al. Is incidence of postoperative vasoplegic syndrome different between off-pump and on-pump coronary artery bypass grafting surgery? Eur J Cardiothorac Surg 2008;34:820-5. 45. Warren OJ, Smith AJ, Alexiou C, Rogers PL, Jawad N, Vincent C, et al. The inflammatory response to cardiopulmonary bypass: Part 1--mechanisms of pathogenesis. J Cardiothorac Vasc Anesth 2009;23:223-31. 46. Carrel T, Englberger L, Mohacsi P, Neidhart P, Schmidli J. Low systemic vascular resistance after cardiopulmonary bypass: Incidence, etiology, and clinical importance. J Card Surg 2000;15:347-53. 47. Mekontso-Dessap A, Houel R, Soustelle C, Kirsch M, Thebert D, Loisance DY. Risk factors for post-cardiopulmonary bypass vasoplegia in patients with preserved left ventricular function. Ann Thorac Surg 2001;71:1428-32. 48. Argenziano M, Chen JM, Choudhri AF, Cullinane S, Garfein E, Weinberg AD, et al. Management of vasodilatory shock after cardiac surgery: Identification of predisposing factors and use of a novel pressor agent. J Thorac Cardiovasc Surg 1998;116:973-80. 49. Breisblatt WM, Stein KL, Wolfe CJ, Follansbee WP, Capozzi J, Armitage JM, et al. Acute myocardial dysfunction and recovery: A common occurrence after coronary bypass surgery. J Am Coll Cardiol 1990;15:1261-9. 50. Croal BL, Hillis GS, Gibson PH, Fazal MT, El-Shafei H, Gibson G, et al. Relationship between postoperative cardiac troponin I levels and outcome of cardiac surgery. Circulation 2006;114:1468-75. 51. Algarni KD, ElhenawyAM, Maganti M, Collins S, Yau TM. Decreasing prevalence but increasing importance of left ventricular dysfunction and reoperative surgery in prediction of mortality in coronary artery bypass surgery: Trends over 18 years. J Thorac Cardiovasc Surg 2011 Nov 18. [In press]. 52. Denault AY, Couture P, Buithieu J, Haddad F, Carrier M, Babin D, et al. Left and right ventricular diastolic dysfunction as predictors of difficult separation from cardiopulmonary bypass. Can J Anaesth 2006;53:1020-9. 53. Licker M, Cikirikcioglu M, Inan C, Cartier V, Kalangos A, Theologou T, et al. Preoperative diastolic function predicts the onset of left ventricular dysfunction following aortic valve replacement in high-risk patients with aortic stenosis. Crit Care 2011;14:R101. 54. Ahmed I, House CM, Nelson WB. Predictors of inotrope use in patients undergoing concomitant coronary artery bypass graft (CABG) and aortic valve replacement (AVR) surgeries at separation from cardiopulmonary bypass (CPB). J Cardiothorac Surg 2009;4:24. 55. McKinlay KH, Schinderle DB, Swaminathan M, Podgoreanu MV, Milano CA, Messier RH, et al. Predictors of inotrope use during separation from cardiopulmonary bypass. J Cardiothorac Vasc Anesth 2004;18:404-8. 56. Muller M, Junger A, Brau M, Kwapisz MM, Schindler E, Akinturk H, et al. Incidence and risk calculation of inotropic support in patients undergoing cardiac surgery with cardiopulmonary bypass using an automated anaesthesia record-keeping system. Br J Anaesth 2002;89:398-404. 57. Muehlschlegel JD, Perry TE, Liu KY, Fox AA, Collard CD, Shernan SK, et al. Heart-type fatty acid binding protein is an independent predictor of death and ventricular dysfunction after coronary artery bypass graft surgery. Anesth Analg 2011;111:1101-9. 58. Butterworth JFt, Legault C, Royster RL, Hammon JW Jr. Factors that predict the use of positive inotropic drug support after cardiac valve surgery. Anesth Analg 1998;86:461-7. 59. Maganti MD, Rao V, Borger MA, Ivanov J, David TE. Predictors of low cardiac output syndrome after isolated aortic valve surgery. Circulation 2005;112(9 Suppl):I448-52. 60. Royster RL, Butterworth JFt, Prough DS, Johnston WE, Thomas JL, Hogan PE, et al. Preoperative and intraoperative predictors of inotropic support and long-term outcome in patients having coronary artery bypass grafting. Anesth Analg 1991;72:729-36. 61. Fox AA, Collard CD, Shernan SK, Seidman CE, Seidman JG, Liu KY, et al. Natriuretic peptide system gene variants are associated with ventricular dysfunction after coronary artery bypass grafting. Anesthesiology 2009;110:738-47. 62. Fox AA, Pretorius M, Liu KY, Collard CD, Perry TE, Shernan SK, et al. Genome-wide assessment for genetic variants associated with ventricular dysfunction after primary coronary artery bypass graft surgery. PLoS One 2011;6:e24593. 63. Galie N, Hoeper MM, Humbert M, Torbicki A, Vachiery JL, Barbera JA, et al. Guidelines for the diagnosis and treatment of pulmonary hypertension: The task force for the diagnosis and treatment of pulmonary hypertension of the European Society of Cardiology (ESC) and the European Respiratory Society (ERS), endorsed by the International Society of Heart and Lung Transplantation (ISHLT). Eur Heart J 2009;30:2493-537. 64. Kalogeropoulos AP, Vega JD, Smith AL, Georgiopoulou VV. Pulmonary hypertension and right ventricular function in advanced heart failure. Congest Heart Fail 2011;17:189-198. 65. Cam A, Goel SS, Agarwal S, Menon V, Svensson LG, Tuzcu EM, et al. Prognostic implications of pulmonary hypertension in patients with severe aortic stenosis. J Thorac Cardiovasc Surg 2011;142:800-8. 66. Shahian DM, O'Brien SM, Filardo G, Ferraris VA, Haan CK, Rich JB, et al. The Society of Thoracic Surgeons 2008 cardiac surgery risk models: Part 3-valve plus coronary artery bypass grafting surgery. Ann Thorac Surg 2009;88(1 Suppl):S43-62. 67. Melby SJ, Moon MR, Lindman BR, Bailey MS, Hill LL, Damiano RJ Jr. Impact of pulmonary hypertension on outcomes after aortic valve replacement for aortic valve stenosis. J Thorac Cardiovasc Surg 2011:141:1424-30. 68. Ben-Dor I, Goldstein SA, Pichard AD, Satler LF, Maluenda G, Li Y, et al. Clinical profile, prognostic implication, and response to treatment of pulmonary hypertension in patients with severe aortic stenosis. Am J Cardiol 2011;107:1046-51. 69. Rudski LG, Lai WW, Afilalo J, Hua L, Handschumacher MD, Chandrasekaran K, et al. Guidelines for the echocardiographic assessment of the right heart in adults: A report from the American Society of Echocardiography endorsed by the European Association of Echocardiography, a registered branch of the European Society of Cardiology, and the Canadian Society of Echocardiography. J Am Soc Echocardiogr 2010;23:685-713. 70. Haddad F, Couture P, Tousignant C, Denault AY. The right ventricle in cardiac surgery, a perioperative perspective: I. Anatomy, physiology, and assessment. Anesth Analg 2009;108:407-21. 71. Comunale ME, Maslow A, Robertson LK, Haering JM, Mashikian JS, Lowenstein E. Effect of site of venous protamine administration, previously alleged risk factors, and preoperative use of aspirin on acute protamine-induced pulmonary vasoconstriction. J Cardiothorac Vasc Anesth 2003;17:309-13. 72. Despotis GJ, Levine V, Joiner-Maier D, Joist JH. A comparison between continuous infusion versus standard bolus administration of heparin based on monitoring in cardiac surgery. Blood Coagul Fibrinolysis 1997;8:419-30. 73. Fratacci MD, Frostell CG, Chen TY, Wain JC Jr, Robinson DR, Zapol WM. Inhaled nitric oxide. A selective pulmonary vasodilator of heparin-protamine vasoconstriction in sheep. Anesthesiology 1991;75:990-9. 75. Desjardins G, Cahalan M. The impact of routine trans-oesophageal echocardiography (TOE) in cardiacsurgery. Best Pract Res Clin Anaesthesiol 2009;23:263-71. 76. Levin RL, Degrange MA, Bruno GF, Del Mazo CD, Taborda DJ, Griotti JJ, et al. Methylene blue reduces mortality and morbidity in vasoplegic patients after cardiac surgery. Ann Thorac Surg 2004;77:496-9. 77. Masetti P, Murphy SF, Kouchoukos NT. 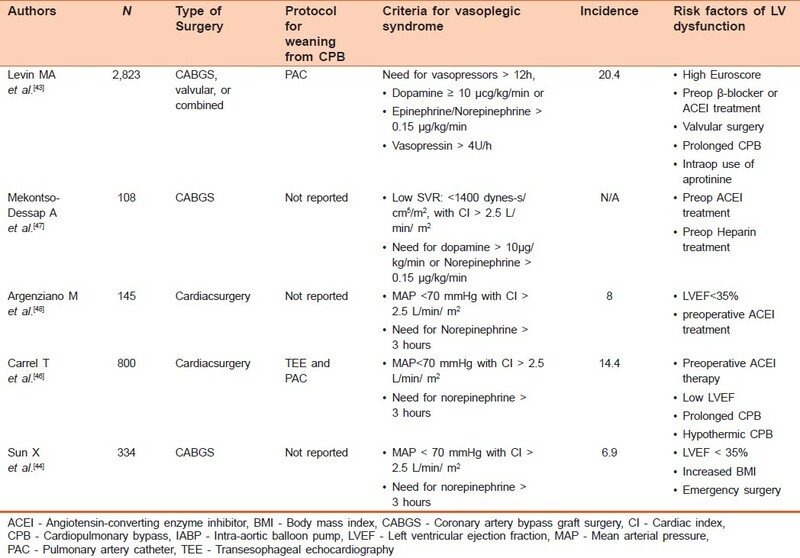 Vasopressin therapy for vasoplegic syndrome following cardiopulmonary bypass. J Card Surg 2002;17:485-9. 78. Noto A, Lentini S, Versaci A, Giardina M, Risitano DC, Messina R, et al. A retrospective analysis of terlipressin in bolus for the management of refractory vasoplegic hypotension after cardiac surgery. Interact Cardiovasc Thorac Surg 2009;9:588-92. 79. Gillies M, Bellomo R, Doolan L, Buxton B. Bench-to-bedside review: Inotropic drug therapy after adult cardiac surgery - a systematic literature review. Crit Care 2005;9:266-79. 80. Winterhalter M, Simon A, Fischer S, Rahe-Meyer N, Chamtzidou N, Hecker H, et al. Comparison of inhaled iloprost and nitric oxide in patients with pulmonary hypertension during weaning from cardiopulmonary bypass in cardiac surgery: A prospective randomized trial. J Cardiothorac Vasc Anesth 2008;22:406-13. 81. Wang DY, Richmond ME, Quinn TA, Mirani AJ, Rusanov A, Yalamanchi V, et al. Optimized temporary biventricular pacing acutely improves intraoperative cardiac output after weaning from cardiopulmonary bypass: A substudy of a randomized clinical trial. J Thorac Cardiovasc Surg 2011;141:1002-8. 82. Kogan A, Ghosh P, Schwammenthal E, Raanani E. Takotsubo syndrome after cardiac surgery. Ann Thorac Surg 2008;85:1439-41. 83. Gariboldi V, Jop B, Grisoli D, Jaussaud N, Kerbaul F, Collart F. Takotsubo syndrome after mitral valve replacement for acute endocarditis. Ann Thorac Surg 2011;91:e31-2. 84. Vernick WJ, Hargrove WC, Augoustides JG, Horak J. Takotsubo cardiomyopathy associated with cardiac arrest following cardiac surgery: New variants of an unusual syndrome. J Card Surg 2010;25:679-83. 85. Rivera JM, Locketz AJ, Fritz KD, Horlocker TT, Lewallen DG, Prasad A, Bresnahan JF, Kinney MO. "Broken heart syndrome". Mayo Clin Proc. 2006;81:825-8. 86. Thackray S, Easthaugh J, Freemantle N, Cleland JG. The effectiveness and relative effectiveness of intravenous inotropic drugs acting through the adrenergic pathway in patients with heart failure-a meta-regression analysis. Eur J Heart Fail 2002;4515-29. 87. Kogan A, Preisman S, Bar A, Sternik L, Lavee J, Malachy A, et al. The impact of hyperlactatemia on postoperative outcome after adult cardiac surgery. J Anesth 2011;[Epub ahead of print]. 88. Totaro RJ, Raper RF. Epinephrine-induced lacticacidosis followingcardiopulmonary bypass. Crit Care Med 1997;25:1693-9. 89. Singer M. Catecholamine treatment for shock--equally good or bad? Lancet 2007;370:636-7. 90. Fellahi JL, Parienti JJ, Hanouz JL, Plaud B, Riou B, Ouattara A. Perioperative use of dobutamine in cardiac surgery and adverse cardiac outcome: Propensity-adjusted analyses. Anesthesiology 2008;108:979-87. 91. Shahin J, Devarennes B, Tse CW, Amarica DA, Dial S. The relationship between inotrope exposure, six-hour postoperative physiological variables, hospital mortality and renal dysfunction in patients undergoing cardiac surgery. Crit Care 2011;15:R162. 92. Guru V, Omura J, Alghamdi AA, Weisel R, Fremes SE. Is blood superior to crystalloid cardioplegia? A meta-analysis of randomized clinical trials. Circulation 2006;114(1 Suppl):I331-8. 93. Walsh SR, Tang TY, Kullar P, Jenkins DP, Dutka DP, Gaunt ME. Ischaemic preconditioning during cardiac surgery: Systematic review and meta-analysis of perioperative outcomes in randomised clinical trials. Eur J Cardiothorac Surg 2008;34:985-94. 94. Symons JA, Myles PS. Myocardial protection with volatile anaesthetic agents during coronary artery bypass surgery: A meta-analysis. Br J Anaesth 2006;97:127-36. 95. Bothe W, Olschewski M, Beyersdorf F, Doenst T. Glucose-insulin-potassium in cardiac surgery: A meta-analysis. Ann Thorac Surg 2004;78:1650-7. 96. Fan Y, Zhang AM, Xiao YB, Weng YG, Hetzer R. Glucose-insulin-potassium therapy in adult patients undergoing cardiac surgery: A meta-analysis. Eur J Cardiothorac Surg 2011;40:192-9. 97. Doenst T, Bothe W, Beyersdorf F. Therapy with insulin in cardiac surgery: Controversies and possible solutions. Ann Thorac Surg 2003;75:S721-8. 98. Pollesello P, Papp Z. The cardioprotective effects of levosimendan: preclinical and clinical evidence. 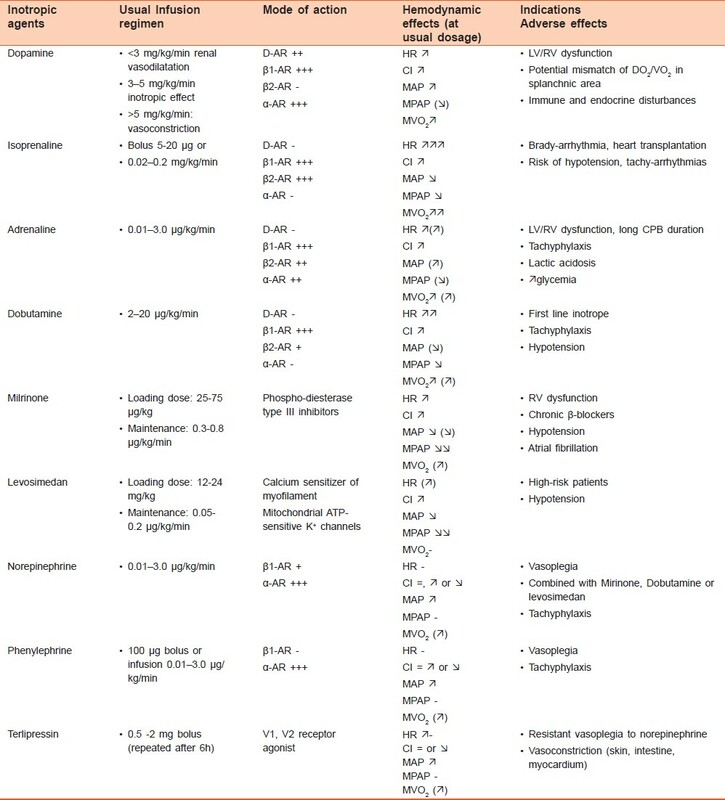 J Cardiovasc Pharmacol 2007;50(3):257-63. 99. De Hert SG, Lorsomradee S, Cromheecke S, van der Linden PJ. The effects of levosimendan in cardiac surgery patients with poor left ventricular function. Anesth Analg 2007;104(4):766-73. 100. De Hert SG, Lorsomradee S, vanden Eede H, Cromheecke S, Van der Linden PJ. A randomized trial evaluating different modalities of levosimendan administration in cardiac surgery patients with myocardial dysfunction. J Cardiothorac Vasc Anesth 2008;22(5):699-705. 101. Tritapepe L, De Santis V, Vitale D, Guarracino F, Pellegrini F, Pietropaoli P, et al. Levosimendan pre-treatment improves outcomes in patients undergoing coronary artery bypass graft surgery. Br J Anaesth 2009;102(2):198-204. 102. Eriksson HI, Jalonen JR, Heikkinen LO, Kivikko M, Laine M, Leino KA, et al. Levosimendan facilitates weaning from cardiopulmonary bypass in patients undergoing coronary artery bypass grafting with impaired left ventricular function. Ann Thorac Surg 2009;87(2):448-54. 103. Kolseth SM, Nordhaug DO, Stenseth R, Sellevold O, Kirkeby-Garstad I, Wahba A. Prophylactic treatment with levosimendan: a retrospective matched-control study of patients with reduced left ventricular function. Eur J Cardiothorac Surg 2009;36(6):1024-30. 105. Hoffman TM, Wernovsky G, Atz AM, Kulik TJ, Nelson DP, Chang AC, et al. Efficacy and safety of milrinone in preventing low cardiac output syndrome in infants and children after corrective surgery for congenital heart disease. Circulation 2003;107(7):996-1002. 106. Cuffe MS, Califf RM, Adams KF, Jr., Benza R, Bourge R, Colucci WS, et al. Short-term intravenous milrinone for acute exacerbation of chronic heart failure: a randomized controlled trial. JAMA 2002;287(12):1541-7. 107. Bergh CH, Andersson B, Dahlstrom U, Forfang K, Kivikko M, Sarapohja T, et al. Intravenous levosimendan vs. dobutamine in acute decompensated heart failure patients on beta-blockers. Eur J Heart Fail 2011;12(4):404-10. 108. Sidi A, Muehlschlegel JD, Kirby DS, Lobato EB. Treatment of ischaemic left ventricular dysfunction with milrinone or dobutamine administered during coronary artery stenosis in the presence of beta blockade in pigs. Br J Anaesth 2006;97(6):799-807. 110. Dyub AM, Whitlock RP, Abouzahr LL, Cina CS. Preoperative intra-aortic balloon pump in patients undergoing coronary bypass surgery: A systematic review and meta-analysis. J Card Surg 2008;23(1):79-86. 111. Lavana JD, Fraser JF, Smith SE, Drake L, Tesar P, Mullany DV. Influence of timing of intraaortic balloon placement in cardiac surgical patients. J Thorac Cardiovasc Surg 2011;140(1):80-5. 113. Tao Zhang, Gao CQ, Li JC, Wang JL, Li LB, Xiao CS. Effect of subzero-balanced ultrafiltration on postoperative outcome of patients after cardiopulmonary bypass. Perfusion. 2009 24(6):401-8. 114. Onorati F, Renzulli A, De Feo M, Galdieri N, Sante P, Mastroroberto P, et al. Perioperative enoximone infusion improves cardiac enzyme release after CABG. J Cardiothorac Vasc Anesth 2004;18:409-14. 115. Jebeli M, Ghazinoor M, Mandegar MH, Rasouli MR, Eghtesadi-Araghi P, Goodarzynejad H, et al. Effect of milrinone on short-term outcome of patients with myocardial dysfunction undergoing coronary artery bypass graft: A randomized controlled trial. Cardiol J 2011;17:73-8. 116. Arbeus M, Axelsson B, Friberg O, Magnuson A, Bodin L, Hultman J. Milrinone increases flow in coronary artery bypass grafts after cardiopulmonary bypass: A prospective, randomized, double-blind, placebo-controlled study. J Cardiothorac Vasc Anesth 2009;23:48-53. 117. Maslow AD, Regan MM, Schwartz C, Bert A, Singh A. Inotropes improve right heart function in patients undergoing aortic valve replacement for aortic stenosis. Anesth Analg 2004;98:891-902. 118. Fleming GA, Murray KT, Yu C, Byrne JG, Greelish JP, Petracek MR, et al. Milrinone use is associated with postoperative atrial fibrillation after cardiac surgery. Circulation 2008;118:1619-25. 119. Delaney A, Bradford C, McCaffrey J, Bagshaw SM, Lee R. Levosimendan for the treatment of acute severe heart failure: A meta-analysis of randomised controlled trials. Int J Cardiol 2011;138:281-9. 120. Landoni G, Mizzi A, Biondi-Zoccai G, Bruno G, Bignami E, Corno L, et al. Reducing mortality in cardiac surgery with levosimendan: A meta-analysis of randomized controlled trials. J Cardiothorac Vasc Anesth 2011;24:51-7. 121. Lombard FW, Grichnik KP. Update on management strategies for separation from cardiopulmonary bypass. Curr Opin Anaesthesiol 2011;24:49-57. 122. Ferguson JJ 3rd, Cohen M, Freedman RJJr, Stone GW, Miller MF, Joseph DL, et al. The current practice of intra-aortic balloon counterpulsation: Results from the Benchmark Registry. J Am Coll Cardiol 2001;38:1456-62. 123. Cohen M, Urban P, Christenson JT, Joseph DL, Freedman RJJr, Miller MF, et al. Intra-aortic balloon counterpulsation in US and non-US centres: Results of the Benchmark Registry. Eur Heart J 2003;24:1763-70. 124. Zaky SS, Hanna AH, SakrEsa WA, Xu M, Lober C, Sessler DI, et al. An 11-year, single-institution analysis of intra-aortic balloon pump use in cardiac surgery. J Cardiothorac Vasc Anesth 2009;23:479-83. 125. Sylvin EA, Stern DR, Goldstein DJ. Mechanical support for postcardiotomy cardiogenic shock: Has progress been made? J Card Surg 2011;25:442-54. 126. Cheng JM, den Uil CA, Hoeks SE, van der Ent M, Jewbali LS, van Domburg RT, et al. Percutaneous left ventricular assist devices vs. intra-aortic balloon pump counterpulsation for treatment of cardiogenic shock: A meta-analysis of controlled trials. Eur Heart J 2009;30:2102-8. 127. 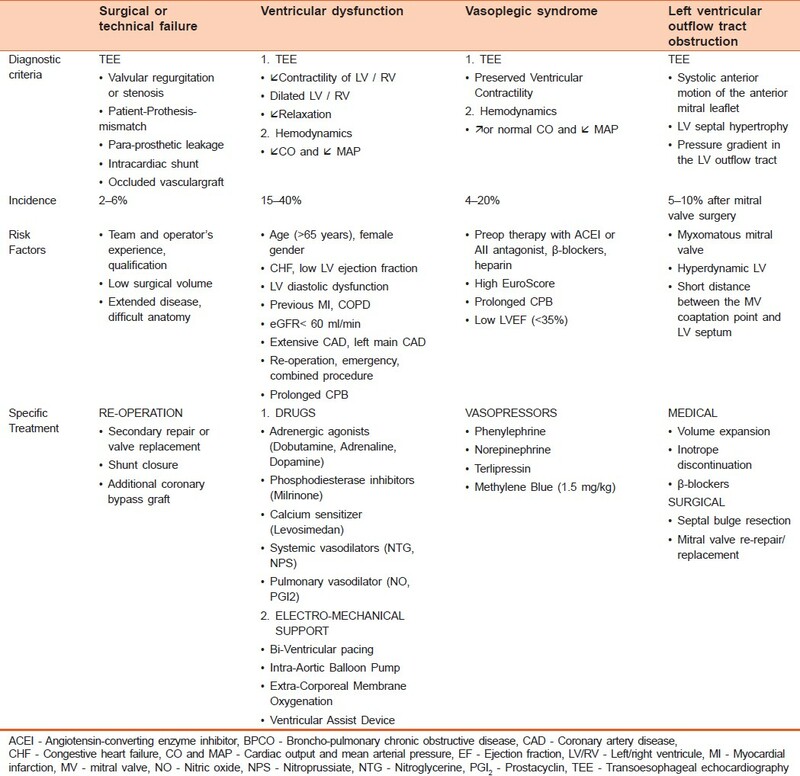 Bartlett RH, Gattinoni L. Current status of extracorporeal life support (ECMO) for cardiopulmonary failure. Minerva Anestesiol 2010;76:534-40.